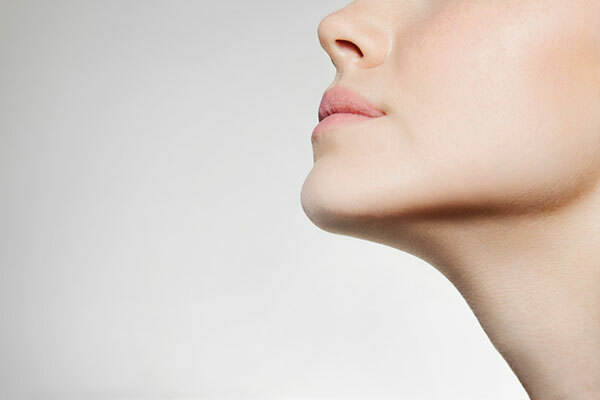 Large pores: one of the most stubborn and hard-to-treat problems when it comes to skin. If they’re something you deal with, you understand the struggle, especially when the time comes to put on makeup. Unfortunately, you can’t shrink the size of your pores (the size is actually genetically determined, who knew!? ), but you can do a few things to make them look smaller. Great skin comes from great skincare, so it’s important you’re properly cleansing, exfoliating, and moisturizing to deal with the problem. But when skincare isn’t enough, we’re lucky to have the amazing magic of makeup! While makeup can never completely hide the issue, it sure can help. Here are 5 great makeup tips you can use to “shrink” your pores in a flash! 1. Stick to non-comedogenic makeup. If you want your pores to appear as small as possible, it’s important to keep them clean and clear. Using non-comedogenic makeup will ensure that your pores don’t get clogged and aggravate the problem. 2. Use a pore-filling primer. This may seem like a no-brainer, but this is probably your best bet when it comes to reducing the look of your pores! Pore-filling primers, like Benefit’s The Porefessional, are silicone-based, help smooth over the skin and create an even canvas. Dab a small amount onto your problem areas and pat it in to see your pores shrink right before your eyes. 3. Buff and push foundation into your skin. Pores generally become even more visible when you apply foundation on top. Most of the time this is because of the way you apply it. When you simply brush foundation over large pores, it tends to catch on to them and emphasize them even more. To avoid this, you’re going to want to buff in circular motions and then press the foundation into the skin. Buffing will help cover the pores while pressing will help “fill” them in. Not only will powder help lock in your foundation and control the pesky oils that large pores bring, but when applied in the right way, it will also help fill in and minimize their appearance. Rather than sweep powder on with a brush, try using a powder puff and pressing and rolling some loose powder into the skin. Just like how pressing in foundation will help fill the pores in, pressing the powder in will do the same. 5. Avoid anything dewy or shimmery. Dewy and shimmery products will emphasize anything problematic on your face, large pores included. To be safe, stick to matte foundations and cheek products to draw attention away from the problem.